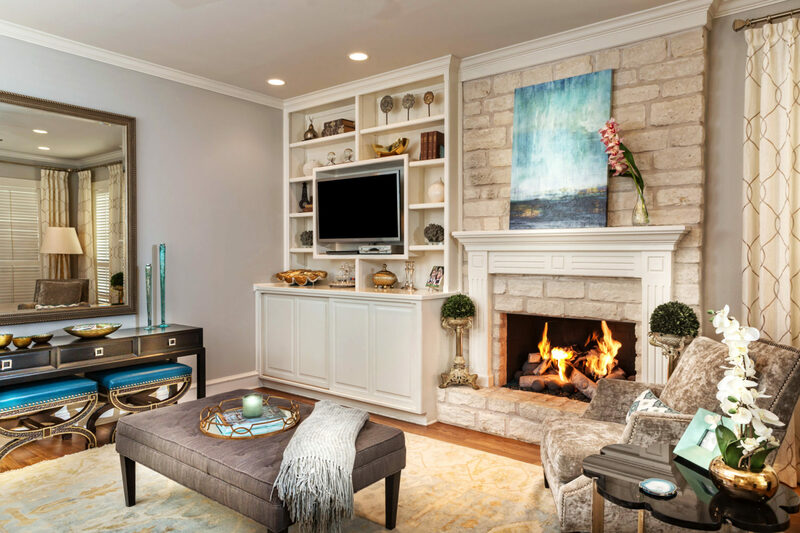 Completely transformed a classic West Lake residence into a breathtaking, elegant home. 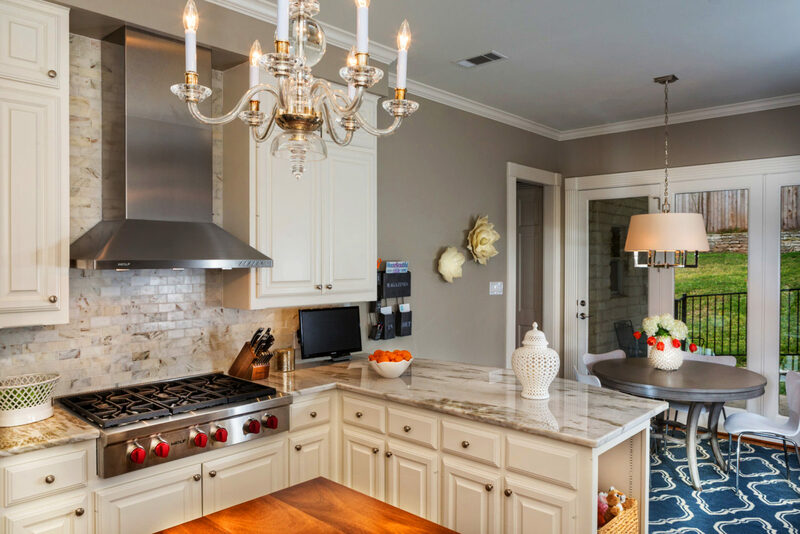 The kitchen exudes a clean design by reflecting durable white quartzite countertops, calcutta marble backsplash, high end appliances, accented with a crystal chandelier. 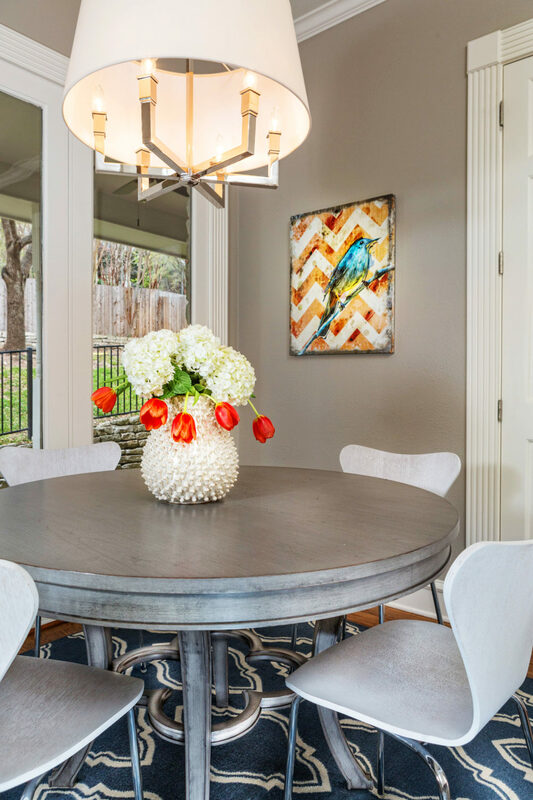 A simple but rich dining room brings color indirectly to the adjacent kitchen. 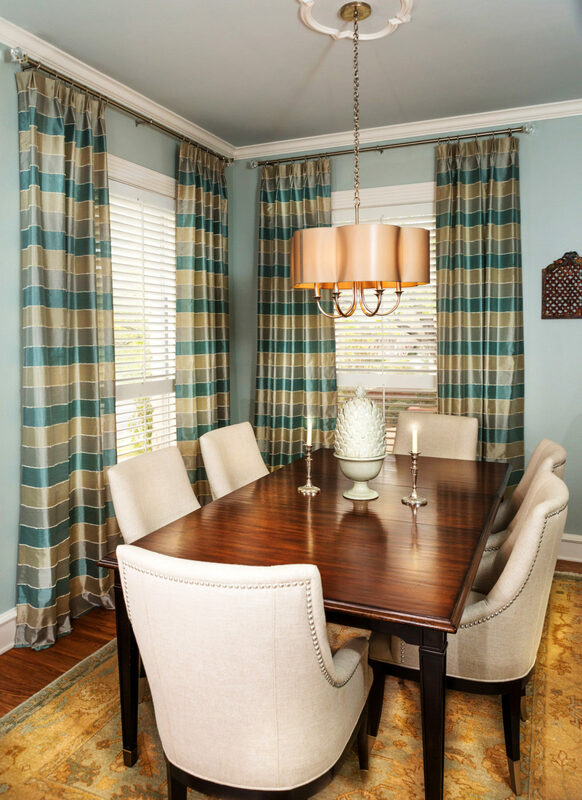 Horizontal striped drapery panels add pattern behind the solid linen dining chairs. 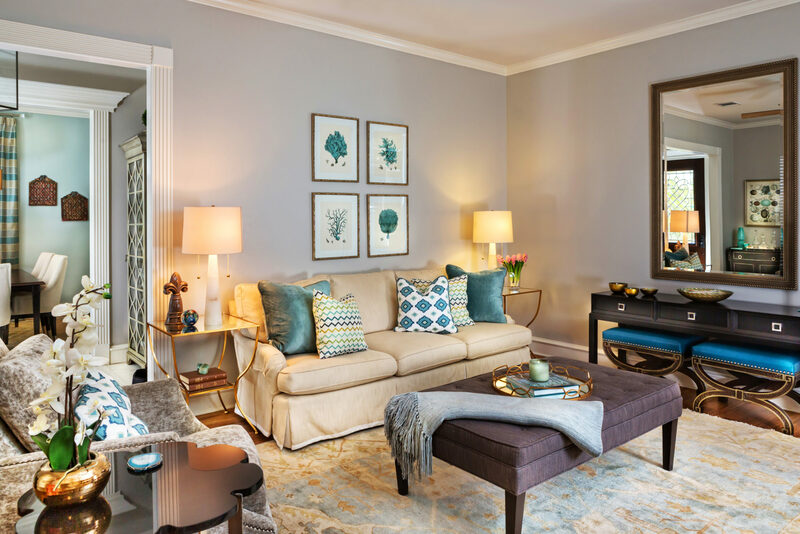 Cool blue color tones transfer to the living room, comfortable down-filled upholstery set the invitation to room, where the embroidered drapery panels and rich Oushak rug add a nice texture to the interior design. 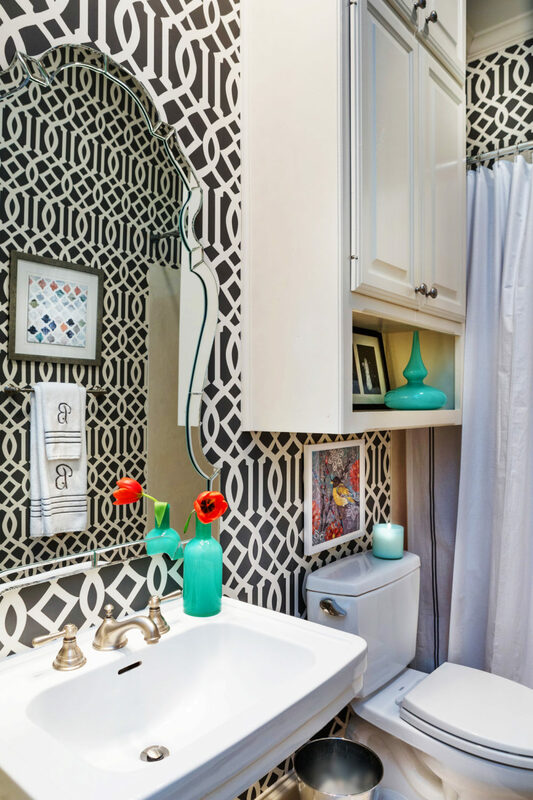 Minimal coastal accents and graphic wallpaper give the classic design plan a trendy spin. 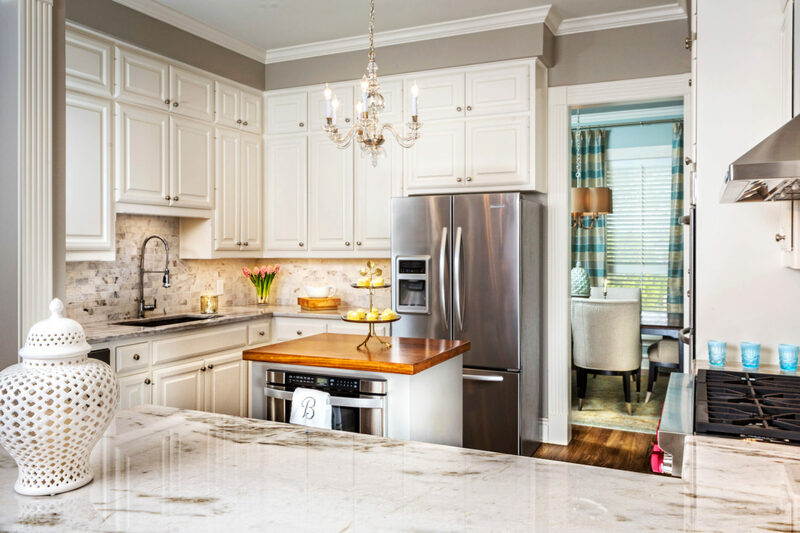 "Gingerwood is amazing and very professional with a clean eye and fresh, new ideas for your project. 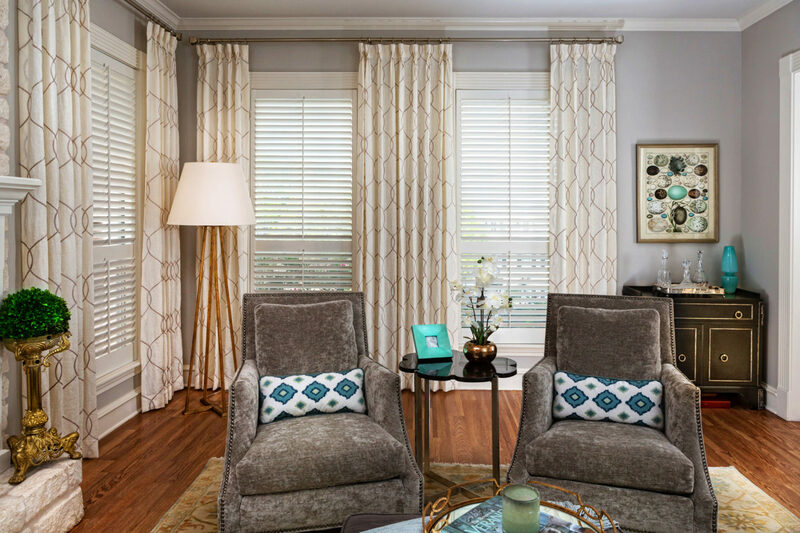 I provided Amanda with some pictures from Houzz of what I was looking for in my project (kitchen remodel, new furnishing throughout the house, new color palette in entire house, etc...) Every idea she brought to the table was unique and fit exactly within the ideas I was imagining. Amanda also helps manage the financial aspect of the project in regards to the budget and gives you line item pricing for each item, etc... She also provides you with her full 100% attention during your project and is able to meet at almost anytime and that is very important when you have a large remodel/design project and have lots of questions/changes/etc...Overall, I was very pleased with her work and level of professionalism every time I met with her over the past 6 months. I would hire her again in a heartbeat!"